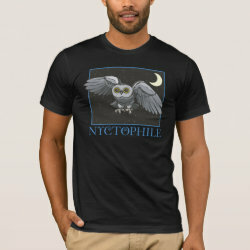 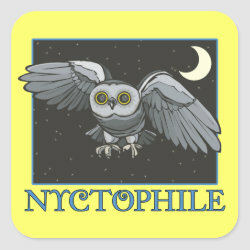 A nyctophile is one that prefers darkness, or one that prefers the night. 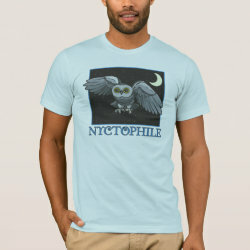 This definition describes most owls. 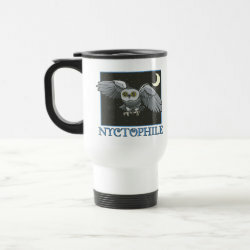 Maybe it describes you too? 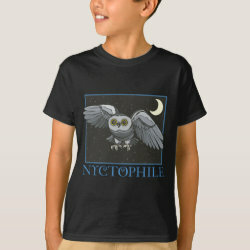 This design More... features a wide-eyed untufted owl of unspecified species flying in a starry night sky. 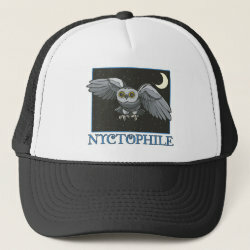 This makes a great gift for night owls and birders alike!